NetBet is the first UK-licensed gambling site to accept Bitcoin. It offers services to players who enjoy betting on sports, casino games, and poker. NetBet has recently made some waves by starting to accept Bitcoin. The online gambling site has a lot to offer Bitcoin players, both in terms of betting options and bonuses. With a lot of games to enjoy, Bitcoin gamblers will keep coming back to play more games. 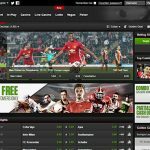 This gambling site is based in the UK and was originally launched back in 2001 under another name. However, thanks to a quick rebranding, the NetBet brand was reborn with a license from the three main UK licensors: the UK Gambling Commission, the Malta Gaming Authority, and the Alderney Gambling Control Commission. The site uses multiple software platforms for its various gambling sections like Microgaming and NetEnt. NetBet has something for everyone. Sports betting is the site’s main focus but the site also has sections for casino gambling, poker, and live dealers. This means the site has enough betting options to please any online gambler. In combination with the site’s recent acceptance of Bitcoin, this makes the site a great place to play. 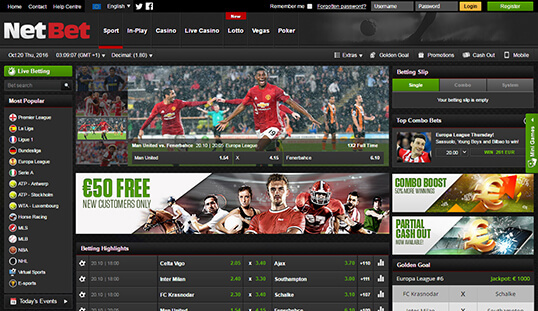 NetBet has changed a lot since it first opened its doors in 2001. 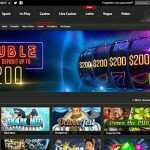 Using the Microgaming platform as a base, NetBet has managed to become a highly accessible and flexible gaming site. The site is divided into sections for easy navigation, and this allows players to immediately find what they want to bet on. The graphic design is also clear and uncluttered. There will be no confusion when players navigate through the site. Betting on sports and playing casino games online should be accessible in any web browser. But if you’re playing poker, it’s a must to download the poker software. 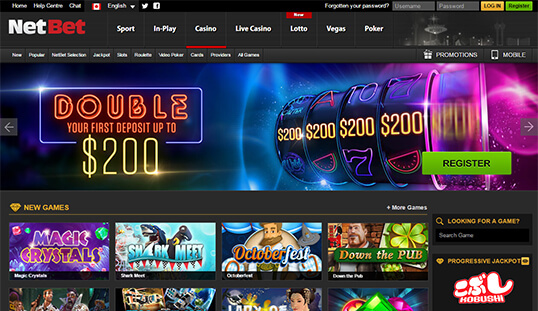 NetBet’s origins as a fiat currency gambling site are obvious in its registration procedure. The site initially asks for your e-mail address. After that, it asks for some personal details and contact info. When that is given, you should be able to play. If you’re used to playing in Bitcoin casinos, this set-up might not fancy you at all, but keep in mind that this is a standard procedure for fiat-operated gambling sites. The site accepts deposits and withdrawals from all major credit cards and several e-wallets. Recently, the site partnered with BitPay to allow for Bitcoin payments. Unfortunately, that is only deposits. Withdrawals are unavailable for Bitcoin and will take several days with normal means. NetBet usually has two bonuses always available. There is the 100% welcome bonus. This gives players 100% deposit bonus on their first deposit up to $200 or its equivalent. The site also gives first-time depositors a ticket to the 5,000 free spin raffle. Every week, players with a ticket have a chance to win a lot of free spins. Besides those basic bonuses, the site has a rotating set of promos on its promo calendar. Players should check it out to see what it has to offer. Another noteworthy fact is that NetBet has a comprehensive support system. Players with problems can contact support through live chat or phone for immediate responses. If they are unavailable, they can opt to use the e-mail form or directly contact through the support e-mail address. The support staff will answer as soon as possible.